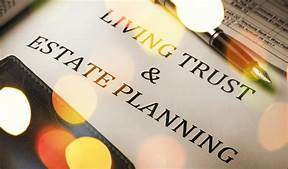 Although not as popular as creating a will, creating a trust as part of an overall estate planning strategy is becoming more and more commonplace due to the flexibility and customizable nature of modern estate planning trusts. In essence, a trust can function in the same manner as a will, with assets being distributed upon one's demise, however, trusts offer an individual much more than the typical estate planning will. Trust creation begins when a trustor, otherwise known as the property owner, grantor, settlor, or without much tact, the person that is going to eventually die, gives ownership of their property and assets to another individual, organization, or entity, who is known as the trustee. This transfer, when done under the supervision of an estate-planning attorney, creates a fiduciary responsibility of the trustee, who may be compensated for their efforts, to manage the assets of the trustor upon the time of their death. 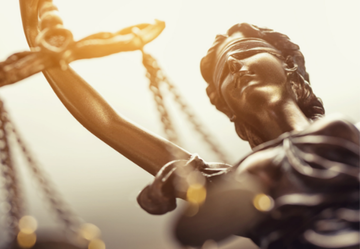 In essence, the trustee is legally obligated to act in accordance with the best wishes, interest, and desires of the trustor. This arrangement, trusts becoming effective upon the death of the testator, is known as a testamentary trust. The dispersal of assets and property, typically over a detailed period of time to specifically mentioned individuals, will now commence according to the terms of the trust, as well as any other applicable terms or clauses mentioned in a valid will. Living trusts, otherwise known as an inter vivos trust, commences immediately, which will be during the lifetime of the grantor, as well as potentially following the death of the grantor as well. These trusts often allow individuals, and their intended beneficiaries, to avoid probate periods. Another interesting aspect of living trusts is the ability of the grantor to specify whether a given living trust is revocable or irrevocable, which in the case of the latter, causes the terms and conditions of the trust to remain in effect permanently, regardless of the wishes of any other party. In essence, at the time of death of an individual possessing a living trust, these individuals will actually own no assets, as the rights to this property has already been relinquished and distributed. Therefore, the probate periods associated with intestate and other disputed estate plans is avoided entirely. Proper estate planning takes careful and professional oversight. Any estate planning strategy will have to account for unavoidable issues, such as probate periods, tax laws, existing liens, as well as the common problems associated with dividing one's life assets. Having an attorney's counsel is essential for any favorable estate plan to be conceived and implemented. Contact us today to request a consultation and being planning for your family's future.